Faraway Press: The Online Home of John Jackson Miller: Dispatches from Ice Planet Wisconsin! Dispatches from Ice Planet Wisconsin! Winter is in full swing here in the wilds of Wisconsin, along with a pretty hairy ice storm that's hours old as I write this. Fortunately I'm inside, writing away — and speaking of hairy, I have new reading material in the new Planet of the Apes: Tales from the Forbidden Zone anthology from Titan Books! 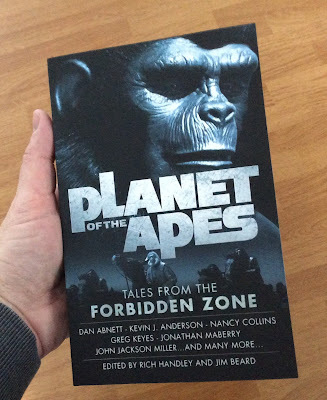 Edited by Rich Handley and Jim Beard, the book draws upon the original five Apes movies plus the TV material. In the case of my own story, "Murderers' Row," television plays a part, inspired as it was by Escape from Planet of the Apes, in which Cornelius and Zira travel to 1973. It's The Player meets Planet as a TV producer works to try to get the apes into a series — while only slowly becoming aware of the dire situation that they're in. Folks who follow me on Twitter and Facebook know what a fan of TV trivia I am; this story really gave me the chance to have fun, which is really what writing — and reading! — should be all about. The book includes stories by Kevin J. Anderson and Jonathan Maberry, as well as fellow Star Trek fiction alums Greg Cox, Robert Greenberger, and Dayton Ward. You can get Tales from the Forbidden Zone in trade paperback or ebook form; it releases generally on January 24. Speaking of Kevin Anderson, I appeared for his Wordfire Press outfit at Paradise City Comic Con in Fort Lauderdale in early December. One of the highlights there (besides the warmer weather!) was a nice conversation with Tim Russ, whose Tuvok character plays a major role in the Star Trek: Prey trilogy. 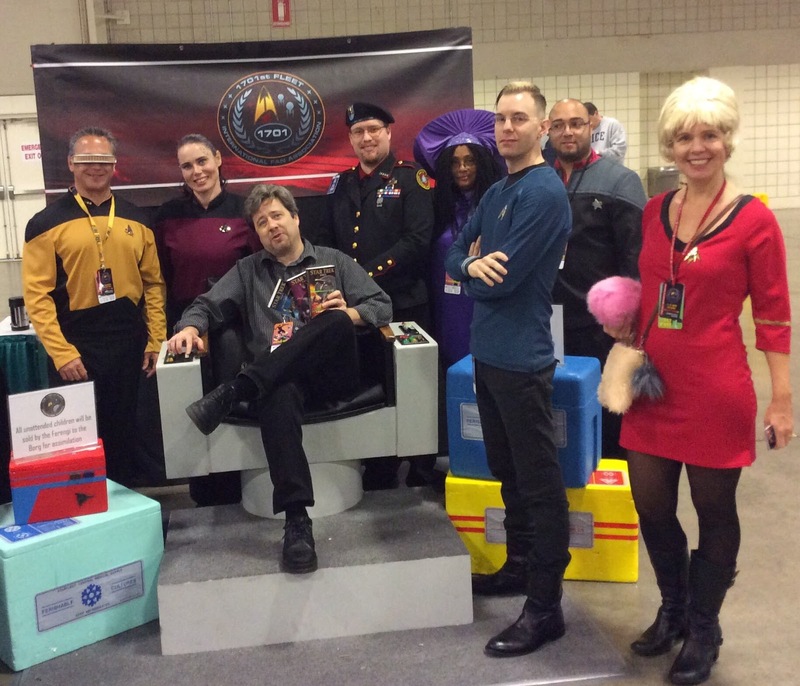 Another was being inducted into the 1701st Fleet, a costuming organization devoted to Star Trek. Live long and prosper! I also closed out 2016 with a return trip to Wisconsin Public Radio's Route 51 show, where I got to talk about Star Trek, Star Wars, and science fiction in general. 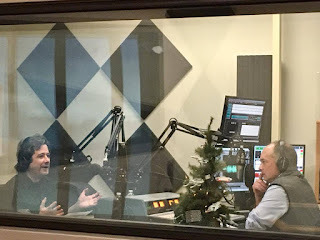 You can hear the archived interview here. And finally, I at long last launched my newly redesigned Comichron website, the world's largest public database of comic book sales figures for the North American market. Tables on new pages have searching and sorting capabilities, something which has been on my wish list for a very long time. Be sure to pop over and take the site for a spin! There'll be more news as the year progresses — just as soon as I can get to my mailbox without ice skates!